Dexter Daily: VIDEO: Fans' Reactions to the 2 Minute Season 7 Sneak Peek at Comic-Con 2012! VIDEO: Fans' Reactions to the 2 Minute Season 7 Sneak Peek at Comic-Con 2012! 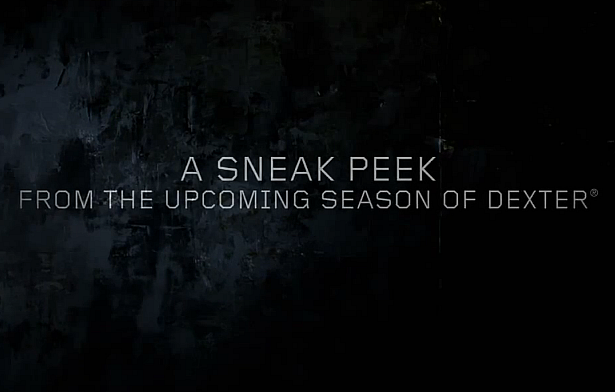 It's been three days since the Dexter Season 7 sneak peek with the first two minutes of the premiere released! Watch below a video from the Dexter panel at Comic-Con 2012 with people's reaction while they were watching the sneak peek for the first time! How did you react when you first watched the sneak peek? I always wondered what Dexter would be like with a laughtrack. Haha wtf? Why are they laughing? maybe because they are thrilled! Deb should make the connection here: the BHB and a body wrapped in plastic. She was wrapped in plastic herself and never made that connection. Reminds me of those "Dexter as a sitcom" videos on YouTube. Btw: When I watched it for the first time (without laughtrack), I almost got a heart attack. Great scene. It makes sense. Dexter would go into lying mode. Deb would go into cop mode (and shock). She's stuck on the plastic but it's like a moment in a nightmare when you are on the verge of realizing something truly horrifying. She's not exactly in denial, but she can't reach the logical conclusion of what it means (even though she will in a few more seconds). After telling Deb he had all that anger built up inside since Rita was murdered I really think Dex only had to add that what tipped him over the edge was Travis trying to kill her and that she meant too much to him to lose her "and" lose Harrison. Then tell her about Travis kidnapping Harrison to sacrifice him as part of his Dooms Day ritual. (After all, Deb didn't know yet that Travis had kidnapped Harrison and his plans to kill him on that alter at the end of last Season.) I think it would have played more on Deb's emotions to find out about that plus the fact that he wouldn't have a life without her and Harrison. I think the writer's passing up continuing to play off that story line was a mistake.